When it’s time for your St Paul commercial business to make a change and move locations, there is a lot to think about! It’s a stressful time, for sure. St Paul commercial movers, RJ Moving, know how it goes, and we are here to help alleviate some of that stress. 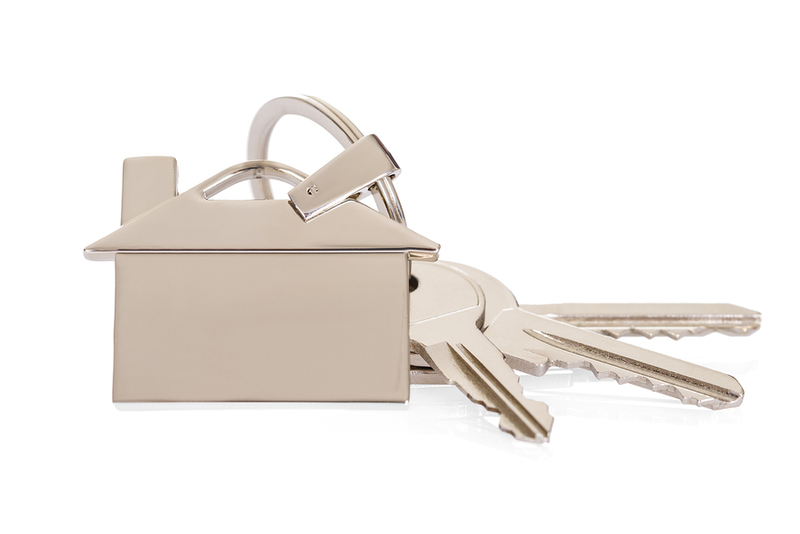 We have some great tips on what to do in the weeks and months leading up to your move. The first thing you want to do to prepare for your commercial movers is take a long look at your St Paul business’ files. Do you really need all of them? Be sure to make sure you’re following state regulations and IRS regulations in regards to file retention, but get rid of any that you don’t need. But don’t just throw them out! Make sure they are shredded or disposed of properly. Also, make sure your employees are all on the same page and get plenty of notice that the office is moving and that the commercial movers are coming at a specific date and time. Make sure they know what is expected of them. Are they supposed to help the commercial movers? Should they stay home that day and consider it a bonus day off? Are they expected to work from home? Make your expectations clear so there is no confusion. Space planning is also key. Check out your new St Paul office space as much as you can and make sure all of the furniture and supplies will fit. See where the phone lines are, electrical lines, Internet, etc. and plan around them. Make sure your commercial movers know where every item is supposed to go. Even if you draw up a floor plan, that’s a good way to figure out where everything will end up. Also, send around a flier or some type of notification to your St Paul customers so they know when and where you’ve moved! For all of your moving needs, you can trust RJ Moving. Give us a call today at (612) 384-2028 or contact us online for a free quote. We can answer any questions you have about our commercial movers and how they can help your St Paul business. 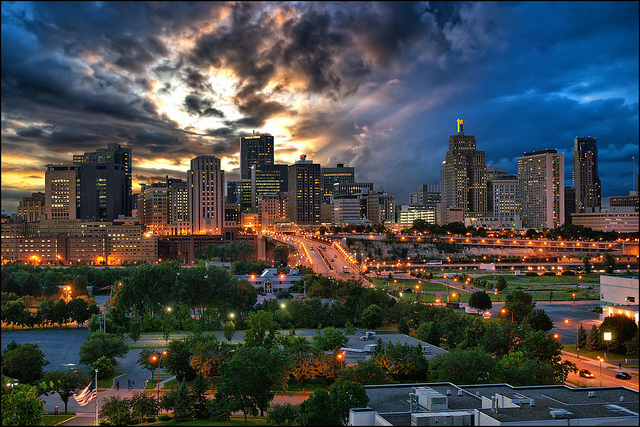 When you are moving your Minneapolis commercial business, we know there is a lot on your mind! Not only are you worried about the move itself, you’re also probably worried about how long your business will have to stay closed and how much money you might lose in lost revenue and income. 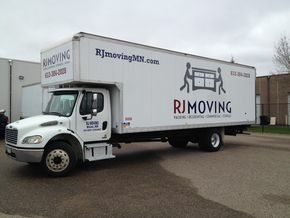 Thankfully, RJ Moving, one of the best Minneapolis commercial movers, has a few suggestions to help your move go smoothly. First of all, make sure you ask for help and delegate tasks to your employees. Consider appointing a “move team” and give each person on the team specific tasks or jobs to handle. For example, one person should be in charge of finding the best Minneapolis commercial movers. Another person should handle coordinating the boxes and other packing supplies. (If you hire RJ Moving, we can help make sure you and your team have plenty of moving materials!) Don’t try to take on all of the work by yourself! Make sure you start early! As soon as you know you’re going to move, delegate your moving team, be sure you’ve got the best Minneapolis commercial movers you can find and start packing. Your employees should all chip in with getting everything packed and organized. Be sure to label every box so your commercial movers know where to put things when the time comes. Also, don’t forget about clearing out all the spaces in your business, like crawl spaces, basements, etc. Budgeting is another good idea. Your Minneapolis commercial movers should know what services you want and you should know how much those services are going to cost. Minneapolis commercial movers should be willing to give you a written estimate, and they should not deviate from that estimate unless both parties are in agreement. When you need trustworthy and responsible commercial movers in Minneapolis or the surrounding areas, call RJ Moving at (612) 384-2028 or contact us online for a free estimate. If your St Paul business is relocating, you want to be sure you hire the best and most dependable commercial movers. St Paul moving company RJ Moving has some tips on how to find the best company in your area. And if you’re moving in St Paul or the surrounding area, give us a call and find out more about our commercial movers services and how we can help you! The first thing you want to consider when hiring commercial movers in St Paul is your timeline. You will want to set aside about 8 weeks to do all of your research and leg work to find the best movers. Word-of-mouth referrals are one of the best ways to find the most trustworthy commercial movers in your area. Then you are going to want to think about your budget and how much you can spend on commercial movers. Consider making a list of the things you can do on your own vs. what you’d have to pay an outside company to do. Then take an inventory of the items the commercial movers will have to move. Will you be taking a lot of large furniture? Also keep in mind what time of year it is, and remember that commercial movers are usually busier during the warmer months. Try to see if you can schedule your move for an off-peak time, like during the cooler winter months. When you get your contract from your St Paul commercial movers, read it carefully and make sure you understand every single part. Responsible commercial movers like RJ Moving will sit with you to make sure you understand the contract and the services we will provide to you during your St Paul move. But if you want to alleviate some of the hassle and stress that comes with finding and hiring dependable commercial movers, call RJ Moving at (612) 384-2028 or contact us online for a free quote. Why Hire Saint Paul Professional Movers? When you’re in the process of moving, you may struggle with the decision to hire Saint Paul professional movers. How hard could it be to just do it yourself? If you are asking that question, you may not be taking into consideration how stressful moving day has the potential to be. Relocating can be a very positive experience and we want make it that way for you. At RJ Moving, we want your move to go as smoothly as possible.